I do love a bit of backstage action. I’m not all that fussed about watching the actual shows to be honest, but watching the hair, nail and make-up artists in action in the hectic environment backstage at a fashion show and trying to capture photos that both snap moments and get a good look at both the process and the finished look – love that side of it. It’s also a really great way to see trends, get inspiration and potentially spot some excited new launch products that are being put through their paces before they are selected to hit the shops. 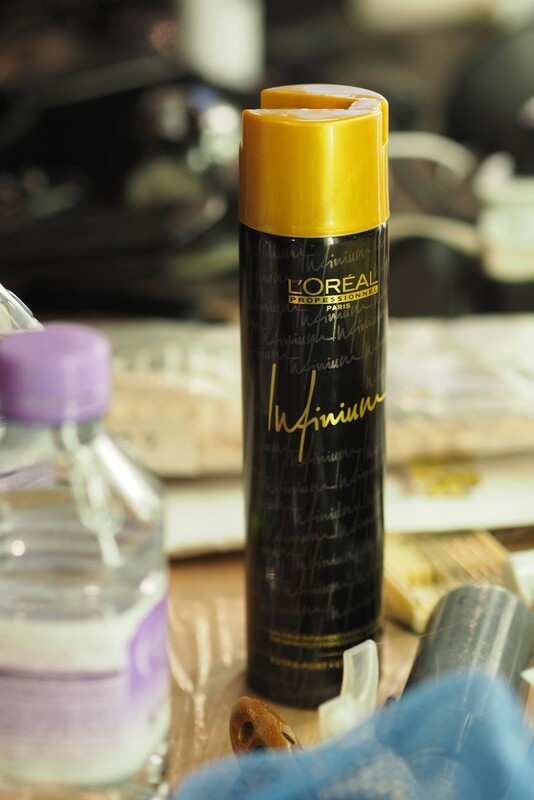 So this season for LFW I headed backstage at the Joseph AW 2016 show, to see the make-up look as created by Lynsey Alexander for Estee Lauder, Duffy for L’Oreal Professional Hair and Revlon for the nails. 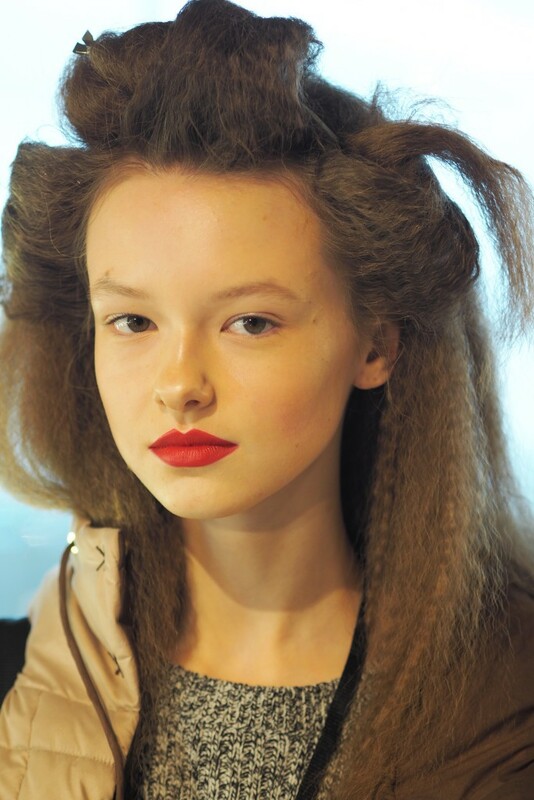 The hair look was a matted, brushed out crimped number that was loaded with mousse and hairspray to really create a fluffy and shine-free finish. The sort of thing that has me having flashbacks to my childhood of playing with crimpers. Well guess what, according to the Joseph catwalk – it’s time to dig them out again. 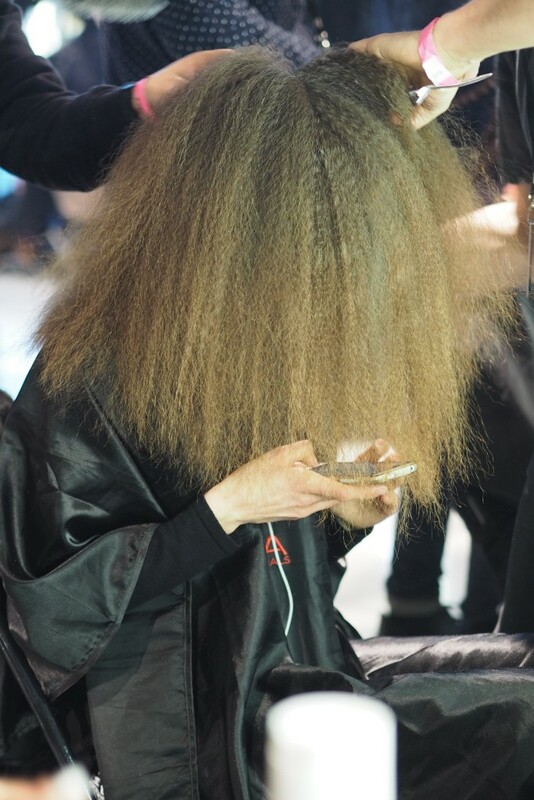 the hair was crimped all over and then brushed out to create big fluffy cloud-like barnets for the models. The beauty look was one I absolutely loved and surprisingly very wearable. With skin that’s super-hydrated and well prepped, with either the Advanced Night Repair Power Masks – a sheet mask which is very backstage friendly (can you imagine a wash off mask trying to be applied in the chaos of backstage?! 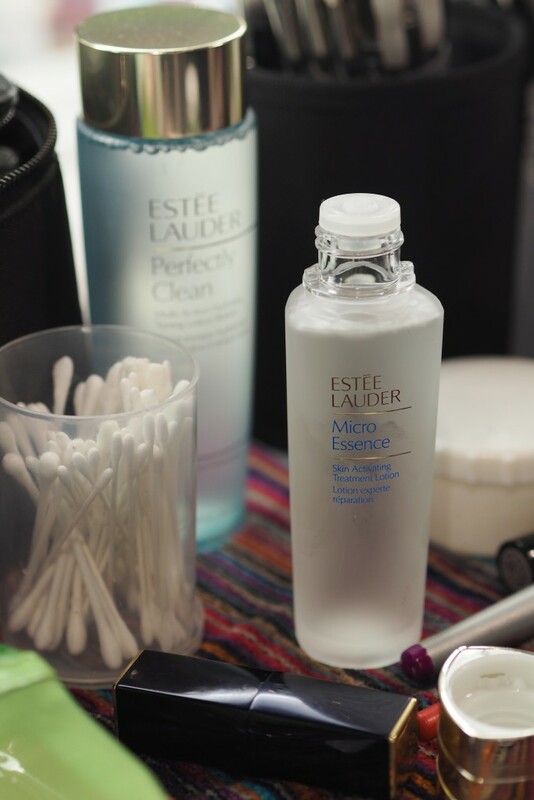 Then once skin is prepped and glowing perfecting coat of the Estee Lauder Perfectionist Foundation is added to really give that fresh gorgeous glow. Topped off with a pretty highlight from the Extra Dimension range (the trio of shades for contour and highlight in the turquoise packaging in the photos). The contour itself is skipping in favour of using the highlight to create that lift rather than the shadow to create the hollows. My favourite part of the look is how the fresh skin is contrasted with a gorgeous orange-red matte lip. With the key detail being the sharply defined cupids bow. Something with a bit of an 80’s feel to it. So 80’s retro revival crimped hair, power pout plus the fresh skin and the almost-nothing eyes kept it the right side of throwback style. Interestingly the brows are very subtle too… perhaps a sign we’re seeing a return to the natural non-defined brow?! The lip colour look that’s the star of the show is the Pure Color Envy Lipstick in the shade Volatile. Definitely one I need in my life, I am a sucker for an orange-red. The nail look was very simple for the show – a very short, natural nail that was polish-free and just buffed to a smooth finish. The show itself featured a lot of long length sleeves so hands aren’t on show. Personally, I love this look and feel like it’s a good balance between creative and actually wearable. A lot of catwalk shows can be extremely creative and inspiring, but sometimes they’re not the sort of look you can pop on for a casual trip to the shops. But this one can be adapted to be perfectly wearable…maybe toning down the crimp but taking on the matte style with a combination of a lot of mousse and hairspray to take away they key shine and then glowy skin and orange-red matte lip with the defined cupids bow and you’re there. Nailing the Joseph AW 16 catwalk look.